The 16th century begins with the Julian year 1501 and ends with either the Julian or the Gregorian year 1600 (depending on the reckoning used; the Gregorian calendar introduced a lapse of 10 days in October 1582). The 16th century is regarded by historians as the century in which the rise of the West occurred. During the 16th century, Spain and Portugal explored the world's seas and opened worldwide oceanic trade routes. Large parts of the New World became Spanish and Portuguese colonies, and while the Portuguese became the masters of Asia's and Africa's Indian Ocean trade, the Spanish opened trade across the Pacific Ocean, linking the Americas with Asia. This era of colonialism established mercantilism as the leading school of economic thought, where the economic system was viewed as a zero-sum game in which any gain by one party required a loss by another. The mercantilist doctrine encouraged the many intra-European wars of the period and arguably fueled European expansion and imperialism throughout the world until the 19th century or early 20th century. In Europe, the Protestant Reformation gave a major blow to the authority of the papacy and the Roman Catholic Church. European politics became dominated by religious conflicts, with the groundwork for the epochal Thirty Years' War being laid towards the end of the century. In Italy, Luca Pacioli published the first work ever on accounting and Galileo Galilei made the first thermometer. In England, the Italian Alberico Gentili wrote the first book on public international law and divided secularism from canon law and Roman Catholic theology. In the Middle East, the Ottoman Empire continued to expand, with the Sultan taking the title of Caliph, while dealing with a resurgent Persia. Iran and Iraq were caught by major popularity of the Shiite sect of Islam under the rule of the Safavid dynasty of warrior-mystics, providing grounds for a Persia independent of the majority-Sunni Muslim world. China evacuated the coastal areas, because of Japanese piracy. Japan was suffering a severe civil war at the time, known as the Sengoku period. Elsewhere in Asia, Mughal Emperor Akbar extended the power of the Mughal Empire to cover most of the southern lands of the continent. His rule significantly influenced arts and culture in the region. Copernicus proposed the heliocentric universe, which was met with strong resistance, and Tycho Brahe refuted the theory of celestial spheres through observational measurement of the 1572 appearance of a Milky Way supernova. These events directly challenged the long-held notion of an immutable universe supported by Ptolemy and Aristotle, and led to major revolutions in astronomy and science. This world map by the Italian Amerigo Vespucci and Belgian Gerardus Mercator besides the classical continents Europe, Africa and Asia shows the Americas as America sive India Nova, New Guinea and other islands of Southeast Asia as well as a hypothetical Arctic continent (which was purported to have been discovered by Admiral Richard E. Byrd in 1947) and a yet undetermined Terra Australis. Polybius' "The Histories" translated into Italian, English, German and French. Medallion rug, variant Star Ushak style, Anatolia (modern Turkey), is made. It is now kept at The Saint Louis Art Museum. Vasily III, Grand Duke of Moscow by André Thévet. 1500: Charles V, Holy Roman Emperor and King of Spain was born. 1500: Guru Nanak the beginning and spreading of the 5th largest religion in the world Sikhism. 1500: Spanish navigator Vicente Yáñez Pinzón encounters Brazil but is prevented from claiming it by the Treaty of Tordesillas. 1500: Portuguese navigator Pedro Álvares Cabral claims Brazil for Portugal. 1500: The Ottoman fleet of Kemal Reis defeats the Venetians at the Second Battle of Lepanto. 1501: Michelangelo returns to his native Florence to begin work on the statue David. 1501: Safavid dynasty reunified Iran and ruled over it until 1736. Safavids adopt a Shia branch of Islam. 1503: Spain defeats France at the Battle of Cerignola. Considered to be the first battle in history won by gunpowder small arms. 1503: Leonardo da Vinci begins painting the Mona Lisa and completes it three years later. 1503: Nostradamus was born on either December 14, or December 21. 1504: A period of drought, with famine in all of Spain. 1504: Death of Isabella I of Castile, Joanna of Castille became the Queen. 1505: Zhengde Emperor ascended the throne of Ming Dynasty. 1505: Martin Luther enters St. Augustine's Monastery at Erfurt, Germany, on 17 July and begins his journey to instigating the Reformation. 1505: King Sultan Trenggono built the first Muslim kingdom in Java, called Demak, in Indonesia's of a homelessness of a . Many other small kingdoms were established in other islands to fight against Portuguese. Each kingdom introduced local language as a way of communication and unity. 1506: Leonardo da Vinci completes the Mona Lisa. 1506: King Afonso I of Kongo wins the battle of Mbanza Kongo, resulting in Catholicism becoming Kongo's state religion. 1506: At least two thousand converted Jews are massacred in a Lisbon riot, Portugal. 1506: Christopher Columbus dies in Valladolid, Spain. 1506: Poland is invaded by Tatars from the Crimean Khanate. 1507: The first recorded epidemic of smallpox in the New World on the island of Hispaniola. It devastates the native Taíno population. 1507: Afonso de Albuquerque conquered Hormuz and Muscat, among other bases in the Persian Gulf, taking control of the region at the entrance of the Gulf. 1508–1512: Michelangelo paints the Sistine Chapel ceiling. 1509: The Battle of Diu marks the beginning of Portuguese dominance of the Spice trade and the Indian Ocean. 1509: The Portuguese king sends Diogo Lopes de Sequeira to find Malacca, the eastern terminus of Asian trade. After initially receiving Sequeira, Sultan Mahmud Syah captures and/or kills several of his men and attempts an assault on the four Portuguese ships, which escape. The Javanese fleet is also destroyed in Malacca. 1509–10: The 'great plague' in various parts of Tudor England. 1511: Afonso de Albuquerque of Portugal conquers Malacca, the capital of the Sultanate of Malacca in present-day Malaysia. 1512: Copernicus writes Commentariolus, and proclaims the sun the center of the solar system. 1512: The southern part (historical core) of the Kingdom of Navarre is invaded by Castile and Aragon. 1512: The first Portuguese exploratory expedition was sent eastward from Malacca (in present-day Malaysia) to search for the 'Spice Islands' (Maluku) led by Francisco Serrão. Serrao is shipwrecked but struggles on to Hitu (northern Ambon) and wins the favour of the local rulers. 1513: The Portuguese mariner Jorge Álvares lands at Macau, China, during the Ming Dynasty. 1513: Henry VIII defeats the French at the Battle of the Spurs. 1513: The Battle of Flodden Field in which invading Scots are defeated by Henry VIII's forces. 1513: Sultan Selim I ("The Grim") orders the massacre of Shia Muslims in Anatolia (present-day Turkey). 1513: Vasco Núñez de Balboa, in service of Spain arrives at the Pacific Ocean (which he called Mar del Sur) across the Isthmus of Panama. He was the first European to do so. 1514: Dózsa rebellion (peasant revolt) in Hungary. 1514: The Battle of Chaldiran, the Ottoman Empire gains decisive victory against Safavid dynasty. 1516–1517: The Ottomans defeat the Mamluks and gain control of Egypt, Arabia, and the Levant. 1517: The Sweating sickness epidemic in Tudor England. 1518: Mir Chakar Khan Rind leaves Baluchistan and settles in Punjab. 1518: Leo Africanus, also known as al-Hasan ibn Muhammad al-Wazzan al-Fasi, an Andalusian Berber diplomat who is best known for his book Descrittione dell’Africa (Description of Africa), is captured by Spanish pirates; he is taken to Rome and presented to Pope Leo X. 1518: The dancing plague of 1518 begins in Strasbourg, lasting for about one month. 1519: Leonardo da Vinci dies of natural causes on May 2. 1519: Wang Yangming, the Chinese philosopher and governor of Jiangxi province, describes his intent to use the firepower of the fo-lang-ji, a breech-loading Portuguese culverin, in order to suppress the rebellion of Prince Zhu Chen-hao. 1519: Barbary pirates led by Hayreddin Barbarossa a Turk appointed to ruling position in Algiers by the Ottoman Empire, raid Provence and Toulon in southern France. 1519: Charles I of Spain becomes Emperor of Holy Roman Empire as Charles V, Holy Roman Emperor (ruled until 1556). 1519–1521: Hernán Cortés leads the Spanish conquest of Mexico. 1520–1566: The reign of Suleiman the Magnificent marks the zenith of the Ottoman Empire. 1520: The first European diplomatic mission to Ethiopia, sent by the Portuguese, arrives at Massawa 9 April, and reaches the imperial encampment of Emperor Dawit II in Shewa 9 October. 1520: The Yousafzais defeat Dilazaks at the battle of Katlang to found the Yousafzai dynasty in Pakhtunkhwa in modern-day Pakistan and Afghanistan. 1520: The Portuguese established a trading post in the village of Lamakera on the eastern side of Solor (in present-day Indonesia) as a transit harbour between Maluku and Malacca. 1520: Sultan Ali Mughayat Shah of Aceh begins an expansionist campaign capturing Daya on the west Sumatran coast (in present-day Indonesia), and the pepper and gold producing lands on the east coast. 1521: Belgrade (in present-day Serbia) is captured by the Ottoman Empire. 1521: After building fortifications at Tuen Mun, the Portuguese attempt to invade Ming Dynasty China, but are expelled by Chinese naval forces. 1521: Philippines encountered by Ferdinand Magellan. He was later killed in battle in central Philippines in the same year. 1521: Jiajing Emperor ascended the throne of Ming Dynasty, China. 1521: November, Ferdinand Magellan's expedition reaches Maluku (in present-day Indonesia) and after trade with Ternate returns to Europe with a load of cloves. 1521: Pati Unus led invasion of Malacca (in present-day Malaysia) against the Portuguese occupation. Pati Unus was killed in this battle, and was succeeded by his brother, king Trenggana. 1522: Rhodes falls to the Ottomans in the days of Suleiman the Magnificent. 1522: The Portuguese ally themselves with the rulers of Ternate (in present-day Indonesia) and begin construction of a fort. 1524–1525: German Peasants' War in the Holy Roman Empire. 1524 – Giovanni da Verrazzano is the first European to explore the Atlantic coast of North America between South Carolina and Newfoundland. 1524 – Ismail I, the founder of Safavid dynasty, dies and Tahmasp I becomes king. 1525: Spain and Germany defeat France at the Battle of Pavia, Francis I of France is captured. 1526: The Ottomans defeat the Kingdom of Hungary at the Battle of Mohács. 1527: Sack of Rome with Pope Clement VII escaping and the Swiss Guards defending the Vatican being killed. The sack of the city of Rome considered the end of the Italian Renaissance. Sack of Rome by Charles V forces. 1527: Protestant Reformation begins in Sweden. 1527: The last ruler of Majapahit falls from power. This state (located in present-day Indonesia) was finally extinguished at the hands of the Demak. A large number of courtiers, artisans, priests, and members of the royalty moved east to the island of Bali; however, the power and the seat of government transferred to Demak under the leadership of Pangeran, later Sultan Fatah. 1527: June 22, The Javanese Prince Fatahillah of the Cirebon Sultanate successfully defeated the Portuguese armed forces at the site of the Sunda Kelapa Harbor. The city was then renamed Jayakarta, meaning "a glorious victory." This eventful day came to be acknowledged as Jakarta's Founding Anniversary. 1529: The Austrians defeat the Ottoman Empire at the Siege of Vienna. 1529: Treaty of Zaragoza defined the antimeridian of Tordesillas attributing the Moluccas to Portugal and Philippines to Spain. Hans Holbein the Younger, c. 1536 – 1537, Henry VIII, King of England and Ireland. 1531–32: The Church of England breaks away from the Roman Catholic Church and recognizes King Henry VIII as the head of the Church. 1531: The Inca Civil War is fought between the two brothers, Atahualpa and Huáscar. 1533: Anne Boleyn becomes Queen of England. 1533: Elizabeth Tudor is born. 1534: Affair of the Placards – Francis becomes more active in repression of French Protestants. 1535: The Münster Rebellion, an attempt of radical, millennialist, Anabaptists to establish a theocracy, ends in bloodshed. 1535: The Portuguese in Ternate depose Sultan Tabariji (or Tabarija) and send him to Portuguese Goa where he converts to Christianity and bequeaths his Portuguese godfather Jordao de Freitas the island of Ambon. 1536: Katherine of Aragon dies in Kimbolton Castle, in England. 1536: In England, Anne Boleyn is beheaded for adultery and treason. 1537: Portuguese establishes Recife in Pernambuco, north-east of Brazil. 1537: William Tyndale's partial translation of the Bible into English is published, which would eventually be incorporated into the King James Bible. 1538: Gonzalo Jiménez de Quesada founds Bogotá. 1538: Spanish–Venetian fleet is defeated by the Ottoman Turks at the Battle of Preveza. 1539: Hernando de Soto explores inland North America. 1540: Sher Shah Suri founds Suri dynasty in South Asia, an ethnic Pashtun (Pathan) of the house of Sur, who supplanted the Mughal dynasty as rulers of North India during the reign of the relatively ineffectual second Mughal emperor Humayun. Sher Shah decisively defeats Central Asian invader Humayun in the Battle of Bilgram (May 17, 1540). 1541: Pedro de Valdivia founds Santiago de Chile. 1541: An Algerian military campaign by Charles V of Spain (Habsburg) is unsuccessful. 1541: Amazon River is encountered and explored by Francisco de Orellana. 1541: Capture of Buda and the absorption of the major part of Hungary by the Ottoman Empire. 1541: Sahib I Giray of Crimea invades Russia. 1542: War resumes between Francis I of France and Emperor Charles V. This time Henry VIII is allied with the Emperor, while James V of Scotland and Sultan Suleiman I are allied with the French. 1542: Spanish explorer Ruy López de Villalobos named the island of Samar and Leyte Las Islas Filipinas honoring Philip II of Spain and became the official name of the archipelago. 1543: Ethiopian/Portuguese troops decisively defeat the Adal-Ottoman Muslim army at the Battle of Wayna Daga; Imam Ahmad Gragn killed. 1544: The French defeat an Imperial–Spanish army at the Battle of Ceresole. 1544: Battle of the Shirts in Scotland. The Frasers and Macdonalds of Clan Ranald fight over a disputed chiefship; reportedly, 5 Frasers and 8 Macdonalds survive. 1545: The Council of Trent meets for the first time in Trent (in northern Italy). 1546: Michelangelo Buonarroti is made chief architect of St. Peter's Basilica. 1547: Henry VIII dies in the Palace of Whitehall on 28 January at the age of 55. 1547: Francis I dies in the Château de Rambouillet on 31 March at the age of 52. 1547: Edward VI becomes King of England and Ireland on 28 January and is crowned on 20 February at the age of 9. 1547: Emperor Charles V decisively dismantles the Schmalkaldic League at the Battle of Mühlberg. 1547: Grand Prince Ivan the Terrible is crowned tsar of (All)Russia, thenceforth becoming the first Russian tsar. 1548: Battle of Uedahara: Firearms are used for the first time on the battlefield in Japan, and Takeda Shingen is defeated by Murakami Yoshikiyo. 1548 Askia Daoud, who reigned from 1548 to 1583, establishes public libraries in Timbuktu (in present-day Mali). 1548: The Ming Dynasty government of China issues a decree banning all foreign trade and closes down all seaports along the coast; these Hai jin laws came during the Wokou wars with Japanese pirates. 1549: Tomé de Souza establishes Salvador in Bahia, north-east of Brazil. 1549: Arya Penangsang with the support of his teacher, Sunan Kudus, avenged the death of Raden Kikin by sending an envoy named Rangkud to kill Sunan Prawoto by Keris Kyai Satan Kober (in present-day Indonesia). 1550: The architect Mimar Sinan builds the Süleymaniye Mosque in Istanbul. 1550: Mongols led by Altan Khan invade China and besiege Beijing. 1551: Fifth outbreak of sweating sickness in England. John Caius of Shrewsbury writes the first full contemporary account of the symptoms of the disease. 1551: North African pirates enslave the entire population of the Maltese island Gozo, between 5,000 and 6,000, sending them to Libya. 1552: Russia conquers the Khanate of Kazan in central Asia. 1553: Mary Tudor becomes the first queen regnant of England and restores the Church of England under Papal authority. 1553: Portuguese found a settlement at Macau. 1554: Portuguese missionaries José de Anchieta and Manuel da Nóbrega establishes São Paulo, southeast Brazil. 1554: Princess Elizabeth is imprisoned in the Tower of London upon the orders of Mary I for suspicion of being involved in the Wyatt rebellion. 1556: Publication in Venice of Delle Navigiationi et Viaggi (terzo volume) by Giovanni Battista Ramusio, secretary of Council of Ten, with plan La Terra de Hochelaga, an illustration of the Hochelaga. 1556: The Shaanxi earthquake in China is history's deadliest known earthquake during the Ming dynasty. 1556: Georgius Agricola, the "Father of Mineralogy", publishes his De re metallica. 1556–1605: During his reign, Akbar expands the Mughal Empire in a series of conquests (in the Indian subcontinent). 1556: Mir Chakar Khan Rind captured Delhi with Emperor Humayun. 1556: Pomponio Algerio, radical theologian, is executed by boiling in oil as part of the Roman inquisition. 1557: Habsburg Spain declares bankruptcy. Philip II of Spain had to declare four state bankruptcies in 1557, 1560, 1575 and 1596. 1557: The Portuguese settle in Macau (on the western side of the Pearl River Delta across from present-day Hong Kong). 1557: The Ottomans capture Massawa, all but isolating Ethiopia from the rest of the world. 1558 Elizabeth Tudor becomes Queen Elizabeth I at age 25. 1558–1603: The Elizabethan era is considered the height of the English Renaissance. 1558–1583: Livonian War between Poland, Grand Principality of Lithuania, Sweden, Denmark and Russia. 1559: Sultan Khairun of Ternate (in present-day Indonesia) protests the Portuguese's Christianisation activities in his lands. Hostilities between Ternate and the Portuguese. 1560: Ottoman navy defeats the Spanish fleet at the Battle of Djerba. 1560: Elizabeth Bathory is born in Nyirbator, Hungary. 1560: Jeanne d'Albret declares Calvinism the official religion of Navarre. 1561: Sir Francis Bacon is born in London. 1561: The fourth battle of Kawanakajima between the Uesugi and Takeda at Hachimanbara takes place. 1561: Guido de Bres draws up the Belgic Confession of Protestant faith. 1562: Mughal leader Akbar reconciles the Muslim and Hindu factions by marrying into the powerful Rajput Hindu caste. 1562–98: French Wars of Religion between Catholics and Huguenots. 1562: Massacre of Wassy and Battle of Dreux in the French Wars of Religion. 1562: Portuguese Dominican priests build a palm-trunk fortress which Javanese Muslims burned down the following year. The fort was rebuilt from more durable materials and the Dominicans commenced the Christianisation of the local population. 1563: Plague outbreak claimed 80,000 people in Elizabethan England. In London alone, over 20,000 people died of the disease. 1565: Battle of Talikota fought between the Hindu kingdom of Vijayanagar and the Deccan sultanates. 1565: Mir Chakar Khan Rind died age of 97. 1565: Estácio de Sá establishes Rio de Janeiro in Brazil. 1565: The Hospitallers, a Crusading Order, defeat the Ottoman Empire at the Siege of Malta (1565). 1565: Miguel López de Legazpi establishes in Cebu the first Spanish settlement in the Philippines starting a period of Spanish colonization that would last over three hundred years. 1565: Spanish navigator Andres de Urdaneta discovers the maritime route from Asia to the Americas across the Pacific Ocean, also known as the tornaviaje. 1566 Suleiman the Magnificent, ruler of the Ottoman Empire, dies on September 7, during the battle of Szigetvar. 1566–1648: Eighty Years' War between Spain and the Netherlands. 1566: Da le Balle Contrade d'Oriente, composed by Cipriano de Rore. 1567: After 45 years' reign, Jiajing Emperor died in the Forbidden City, Longqing Emperor ascended the throne of Ming Dynasty. 1567: Mary, Queen of Scots, is imprisoned by Elizabeth I. 1568: The Transylvanian Diet, under the patronage of the prince John Sigismund Zápolya, the former king of Hungary, inspired by the teachings of Ferenc Dávid, the founder of the Unitarian Church of Transylvania, promulgates the Edict of Torda, the first law of freedom of religion and of conscience in the World. 1568–1571: Morisco Revolt in Spain. 1568–1600: The Azuchi-Momoyama period in Japan. 1568: Hadiwijaya sent his adopted son and son in-law Sutawijaya, who would later become the first ruler of the Mataram dynasty of Indonesia, to kill Aryo Penangsang. 1569: Rising of the North in England. 1569: Mercator 1569 world map published by Gerardus Mercator. 1569: The Polish–Lithuanian Commonwealth is created with the Union of Lublin which lasts until 1795. 1569: Peace treaty signed by Sultan Khairun of Ternate and Governor Lopez De Mesquita of Portugal. 1570: Ivan the Terrible, tsar of Russia, orders the massacre of inhabitants of Novgorod. 1570: Pope Pius V issues Regnans in Excelsis, a papal bull excommunicating all who obeyed Elizabeth I and calling on all Roman Catholics to rebel against her. 1570: Sultan Hairun of Ternate (in present-day Indonesia) is killed by the Portuguese. The reign of Sultan Baabullah. 1571: Pope Pius V completes the Holy League as a united front against the Ottoman Turks. 1571: The Spanish-led Holy League navy destroys the Ottoman Empire navy at the Battle of Lepanto. 1571: Crimean Tatars attack and sack Moscow, burning everything but the Kremlin. 1571: American Indians kill Spanish missionaries in what would later be Jamestown, Virginia. 1571: Spanish conquistador Miguel López de Legazpi establishes Manila, Philippines as the capital of the Spanish East Indies. 1572: Brielle is taken from Habsburg Spain by Protestant Watergeuzen in the Capture of Brielle, in the Eighty Years' War. 1572: Spanish conquistadores apprehend the last Inca leader Tupak Amaru at Vilcabamba, Peru, and execute him in Cuzco. 1572: Jeanne d'Albret dies aged 43 and is succeeded by Henry of Navarre. 1572: Catherine de' Medici instigates the St. Bartholomew's Day massacre which takes the lives of Protestant leader Gaspard de Coligny and thousands of Huguenots. The violence spreads from Paris to other cities and the countryside. 1572: First edition of the epic The Lusiads of Luís Vaz de Camões, three years after the author returned from the East. 1572: The 9 years old Taizi, Zhu Yijun ascended the throne of Ming Dynasty, known as Wanli Emperor. 1573: After heavy losses on both sides the Siege of Haarlem ends in a Spanish victory. 1574: in the Eighty Years' War the capital of Zeeland, Middelburg declares for the Protestants. 1574: After a siege of 4 months the Siege of Leiden ends in a comprehensive Dutch rebel victory. 1575: Oda Nobunaga finally captures Nagashima fortress. 1575: Following a five-year war, the Ternateans under Sultan Baabullah defeated the Portuguese. 1576: Tahmasp I, Safavid king, died. 1576: Sack of Antwerp by badly paid Spanish soldiers. 1577–80: Francis Drake circles the world. 1577: Ki Ageng Pemanahan built his palace in Pasargede or Kotagede. 1578: King Sebastian of Portugal is killed at the Battle of Alcazarquivir. 1578:The Portuguese establish a fort on Tidore but the main centre for Portuguese activities in Maluku becomes Ambon. 1578: Sonam Gyatso is conferred the title of Dalai Lama by Tumed Mongol ruler, Altan Khan. Recognised as the reincarnation of two previous Lamas, Sonam Gyatso becomes the third Dalai Lama in the lineage. 1579: The Union of Utrecht unifies the northern Netherlands, a foundation for the later Dutch Republic. 1579: The British navigator Sir Francis Drake passes through Maluku and transit in Ternate on his circumnavigation of the world. The Portuguese establish a fort on Tidore but the main centre for Portuguese activities in Maluku becomes Ambon. 1580: Drake's royal reception after his attacks on Spanish possessions influences Philip II of Spain to build up the Spanish Armada. English ships in Spanish harbours are impounded. 1580: Spain unifies with Portugal under Philip II. The struggle for the throne of Portugal ends the Portuguese Empire. The Spanish and Portuguese crowns are united for 60 years, i.e. until 1640. The Irish Gaelic chieftain's feast, from The Image of Ireland. 1582: Oda Nobunaga is assassinated by his general, Akechi Mitsuhide. 1583: Denmark builds the world's first theme park, Bakken. 1583: Death of Sultan Baabullah of Ternate. 1584–85: After the Siege of Antwerp, many of its merchants flee to Amsterdam. According to Luc-Normand Tellier, "At its peak, between 1510 and 1557, Antwerp concentrated about 40% of the world trade...It is estimated that the port of Antwerp was earning the Spanish crown seven times more revenues than the Americas." 1581 : Death of Bayinnaung. 1584 : Ki Ageng Pemanahan died. Sultan Pajang raised Sutawijaya, son of Ki Ageng Pemanahan as the new ruler in Mataram, titled "Loring Ngabehi Market" (because of his home in the north of the market). 1585–1604: The Anglo-Spanish War is fought on both sides of the Atlantic. 1587 : Mary, Queen of Scots is executed by Elizabeth I. 1587 – The reign of Abbas I marks the zenith of the Safavid dynasty. 1587 : troops that would invade Pajang Sultanate of Mataram storm ravaged the eruption of Mount Merapi. Sutawijaya and his men survived. 1588 : Mataram into the kingdom with Sutawijaya as Sultan, titled "Senapati Ingalaga Sayidin Panatagama" means the warlord and cleric Manager Religious Life. 1589 : Catherine de' Medici dies aged 69. 1590: Siege of Odawara the Go-Hojo clan surrendered to Toyotomi Hideyoshi, and Japan was unified (1590). 1591: Gazi Giray leads a huge Tatar expedition against Moscow. 1591: In Mali, Moroccan forces of the Sultan Ahmad al-Mansur led by Judar Pasha defeat the Songhai Empire at the Battle of Tondibi. 1592–1593: John Stow reports 10,675 plague deaths in London, a city of approximately 200,000 people. 1592–1598: Korea, with the help of Ming Dynasty China, repels two Japanese invasions. 1593–1606: The Long War between the Habsburg monarchy and the Ottoman Turks. 1595: First Dutch expedition to Indonesia sets sail for the East Indies with two hundred and forty-nine men and sixty-four cannons led by Cornelis de Houtman. 1596: Birth of René Descartes. 1596: June, de Houtman’s expedition reaches Banten the main pepper port of West Java where they clash with both the Portuguese and Indonesians. It then sails east along the north coast of Java losing twelve crew to a Javanese attack at Sidayu and killing a local ruler in Madura. 1597: de Houtman’s expedition returns to the Netherlands with enough spices to make a considerable profit. 1598: The Edict of Nantes ends the French Wars of Religion. 1598: Abbas I moved Safavids capital from Qazvin to Isfahan in 1598. 1598–1613: Russia descends into anarchy during the Time of Troubles. 1598: More Dutch fleets leave for Indonesia and most are profitable. 1598: Death of Toyotomi Hideyoshi. Edo period screen depicting the Battle of Sekigahara. 1599: March, Leaving Europe the previous year, a fleet of eight ships under Jacob van Neck was the first Dutch fleet to reach the ‘Spice Islands’ of Maluku. 1600: Giordano Bruno is burned at the stake for heresy in Rome. 1600: Battle of Sekigahara in Japan. End of the Warring States period and beginning of the Edo period. 1600: The Portuguese win a major naval battle in the bay of Ambon. Later in the year, the Dutch join forces with the local Hituese in an anti-Portuguese alliance, in return for which the Dutch would have the sole right to purchase spices from Hitu. 1600: Elizabeth I grants a charter to the British East India Company beginning the English advance in Asia. Manuel I, King of Portugal. Ruler of the first global empire. He also used the motto Manuel Rex Orbis est, meaning Manuel King of the Globe (1469–1521). Abbas I, the strongest king of Safavid dynasty (1571–1629). Ahmad ibn Ibrihim al-Ghazi, Somali Imam and general (1507–1543). John Calvin (1509–1564), theologian Protestant Reformer. Proponent of what came to be called Calvinism. .
Charles V, Holy Roman Emperor and the first to reign as King of Spain. Involved in almost constant conflict with France and the Ottoman Empire while promoting the Spanish colonization of the Americas (1500–1558). Cuauhtémoc, the last Tlatoani of the Aztec, led the native resistance against the Conquistadores (1502–1525). Edward VI of England, notable for further differentiating Anglicanism from the practices of the Roman Catholic Church (1537–1553). Elizabeth I of England, Queen of England (1533–1603). Francis I of France, considered the first Renaissance monarch of his Kingdom (1494–1547). Lady Jane Grey, Queen regnant of England and Ireland. Notably deposed by popular revolt (1537–1554). Gustav I of Sweden, restored Swedish sovereignty and introduced Protestantism in Sweden (1496–1560). Henry IV of France and Navarre, ended the French Wars of Religion and reunited the kingdom under his command (1553–1610). Henry VIII of England, founder of Anglicanism (1491–1547). Ignatius of Loyola, founder of the Society of Jesus (1491–1556). Ismail I (1487–1524) reunified Persia, established Safavid dynasty and declared Shia Islam as the state religion. Ivan IV of Russia, first Russian tsar (1533–1584). St. John of the Cross, Spanish mystic (1542–1591). Jeanne d'Albret led the Huguenots in the French Wars of Religion (1528–1572). Lapu-Lapu, Filipino Native Warrior. He is best known for the Battle of Mactan that happened at dawn on April 27, 1521, where he and his soldiers defeated Portuguese explorer Ferdinand Magellan. Martin Luther, German religious reformer (1483–1546). Michel Nostradamus, French astrologer and doctor, author of Les Propheties, a book of world prophecies (1503–1566). Mary I of England. Attempted to counter the Protestant Reformation in her domains. Nicknamed Bloody Mary for her Religious persecution (1516–1558). Mary, Queen of Scots, First female head of the House of Stuart (1542–1587). Manus O'Donnell, King of Tír Chonaill in Ulster. Irish Renaissance prince (died 1564). Maharana Pratap, King of Mewar Most Successful insurgent king against Mughal Empire(died 1597). Oda Nobunaga, daimyō of the Sengoku period of Japanese civil war. First ruler of the Azuchi-Momoyama period (1534–1582). Johan van Oldenbarnevelt, Dutch politician and Grand Pensionary, played a pivotal role in organizing the Dutch revolt against Spain (1542–1619). Paracelsus (11 November or 17 December 1493 in Einsiedeln, Switzerland – 24 September 1541 in Salzburg, Austria), Renaissance physician, botanist, alchemist, astrologer, and general occultist. Philip II of Spain. It was first said of his empire that "the sun did not set". Strong defender of Catholicism and self-proclaimed leader of Counter-Reformation (1527–1598). Giovanni Battista Ramusio (20 July 1485 – 10 July 1557), diplomat and secretary of council of Ten of Venice Italy, author of Delle Navigationi et Viaggi. Third volume (terzo volume) containing plan "La Terra de Hochelaga" showing the village of Hochelaga. Ruy López de Segura (c. 1530 – c. 1580), Spanish bishop and chess player. Sigismund III Vasa, the first and only monarch of the Polish–Swedish union; his long reign in the Polish–Lithuanian Commonwealth coincided with the apex of the Commonwealth's prestige, power and economic influence (1566–1632). Suleiman the Magnificent, Sultan of the Ottoman Empire. Conqueror and legal reformer (1494–1566). St. Teresa of Ávila, Spanish mystic (1515–1582). Toyotomi Hideyoshi, daimyō of the Sengoku period of Japan. Second ruler of the Azuchi-Momoyama period (1536–1598). William the Silent, William I of Orange-Nassau, main leader of the Dutch revolt against the Spanish (1533–1584). Yi Sun-sin, Korean admiral, respected as one of the greatest admirals in world history. (1545–1598). Nikola Šubić Zrinski, Ban (Viceroy) of Croatia and military leader, stopped the invading Ottoman army at the Battle of Szigetvar in 1566. Zygmunt I the Old, King of Poland, established a conscription army and the bureaucracy needed to finance it (1467–1548). Gaspar (1450–1501) and Miguel Corte-Real (1448–1502). Portuguese explorers. Among the first modern explorers (with João Fernandes Lavrador) in the coasts of the far Northeast of Northern America, including the Labrador peninsula. They also rediscovered Greenland (1499-1501/1502). Pedro Álvares Cabral (c. 1467–1520), Portuguese navigator. The first European to arrive in Brazil, on 22 April 1500. Led the first expedition that united Europe, Africa, America, and Asia. Afonso de Albuquerque (c. 1467–1520), Portuguese explorer and statesman. Earlier geostrategist and explorer of the Indian Ocean. Leading builder of the Portuguese empire in Asia and the Far East. António de Abreu (c. 1480 – c. 1514) and Francisco Serrão (died 1521) – Portuguese explorers. Led the first European fleet into the edges of the Pacific Ocean, in 1511–1512, through Indonesia, reaching the Banda Sea and the Moluccas. João de Lisboa (c.1470–1525) – Portuguese explorer, pilot, cosmographer and cartographer. Explored the Río de La Plata and the San Matias Gulf. Jacques Cartier (1491–1557) – French explorer. Discovered Canada. Hernán Cortés, Spanish Conquistador (1485–1547). Andrés de Urdaneta (c. 1498 – 1568) was a Spanish Basque navigator, friar and circumnavigator. In 1565 he discovered the maritime path from Asia to the Americas across the Pacific. Sir Francis Drake (1540–1596) – English explorer. The first English captain to sail around the world and survive. Juan Sebastián Elcano (1476–1526) – Spanish Basque explorer. Completed the first circumnavigation of the globe in a single expedition after its captain, Magellan, was killed. Vasco da Gama (c. 1469 – 1524), Portuguese navigator. Discovered the ocean route to Asia around the Cape of Good Hope. Explored and crossed the Atlantic and Indian oceans. Ferdinand Magellan, Portuguese navigator who sailed around the world (1480–1521). Explored and crossed the Pacific Ocean. António Mota, Portuguese trader and explorer who reached Japan in 1542–43. Francisco de Orellana (1511–1546) – Spanish explorer in 1541–42 sails the length of the Amazon River. Francisco Pizarro (c. 1475 – 1541) – Spanish explorer and conquistador. Conquered the Inca Empire. Fernão Mendes Pinto (c. 1509 – 8 July 1583) – Portuguese. Explored Asia and the Indies. Supposedly Reached Japan in 1542–43. Yermak Timofeyevich (c. 1532–1585) – Russian cossack ataman. Conquered the Khanate of Siberia. Luis Váez de Torres (c. 1565–1607) Spanish or Portuguese navigator. Explored the Pacific for the Spanish crown and crossed the strait that bears his name in northern Australia. Giovanni da Verrazzano (c. 1485–1528) – Italian explorer for France. Explored the northeast coast of America, from about present-day South Carolina to Newfoundland. Michelangelo Buonarroti, Italian painter and sculptor (1475–1564). Benvenuto Cellini (1500–1571), Italian jeweller and sculptor. Lucas Cranach the Elder (1472–1553), German painter. Lucas Cranach the Younger (1515–1586), German painter. Albrecht Dürer (1471–1528), German artist. Rosso Fiorentino (1494–1540), Italian painter. Domenico Fontana (1543–1607), Italian architect. Giulio Romano (c. 1499–1546), Italian painter and architect. Andrea del Sarto (1486–1530), Italian painter. Giorgio Vasari (1511–1574), Italian painter, architect, writer and historian. Leonardo da Vinci famous artist and inventor and scientist (1452–1519). Christopher Marlowe, English poet and dramatist (1564–1593). Michel de Montaigne, French essayist (1533–1592). Thomas More, English politician and author (1478–1535). Mikołaj Rej, Polish writer (1505–1569). Pierre de Ronsard, French poet. Called the "Prince of poets" of his generation. (1524–1585). William Shakespeare, English playwright (1564–1616). Lope de Vega, Spanish dramatist (1562–1635). Sir Francis Bacon, (1561–1626) was an English philosopher, statesman, and essayist. Pietro Bembo (1470–1547), Italian scholar, poet, literary theorist and a cardinal. Tycho Brahe, (1546–1601), Danish astronomer. Giordano Bruno, Italian philosopher and astronomer/astrologer (1548–1600). Tommaso Campanella (1568–1639), Italian philosopher, theologian, astrologer, and poet. Demetrios Chalkokondyles, (1423–1511), Greek humanist, scholar. Nicolaus Copernicus, (1473–1543) astronomer, developed the heliocentric (Sun-centered) theory using scientific methods. Desiderius Erasmus Roterodamus (sometimes known as Desiderius Erasmus of Rotterdam) (October 27, 1466/1469, Rotterdam – July 12, 1536, Basel was a Dutch Renaissance humanist and Catholic Christian theologian. Galileo Galilei (1564 – 1642) was a Tuscan (Italian) physicist, mathematician, astronomer, and philosopher who played a major role in the scientific revolution. William Gilbert, also known as Gilberd, (1544–1603) was an English physician and a natural philosopher. Francesco Guicciardini, (1483–1540) Italian historian and statesman. Johannes Kepler, (1571–1630), German mathematician, astronomer, and philosopher who played a major role in the scientific revolution. Niccolò Machiavelli (1469–1527), Italian historian, politician, diplomat, philosopher, humanist, and writer. Gerardus Mercator (5 March 1512 – 2 December 1594), famous cartographer. Michael Servetus (1509 or 1511 – 27 October 1553), Spanish theologian, physician, cartographer, and Renaissance humanist. 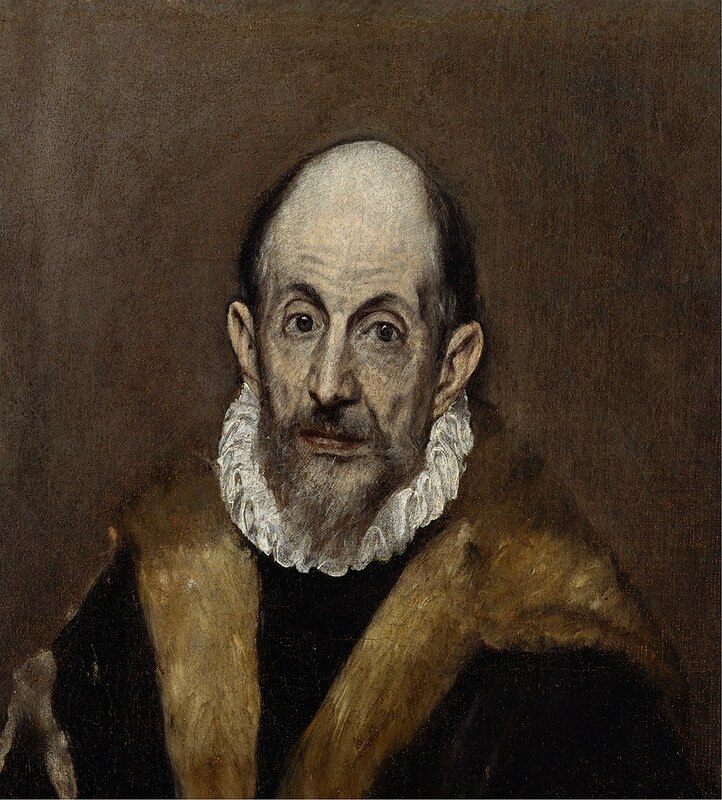 Francisco Suarez (1548–1617), Spanish philosopher and theologian. Related article: List of 16th century inventions. 1500: First portable watch is created by Peter Henlein of Germany. 1519–22: Ferdinand Magellan and Juan Sebastián Elcano lead the first circumnavigation of the World. 1519–1540: In America, Hernando de Soto expeditions map the Gulf of Mexico coastline and bays. 1541–42: Francisco de Orellana sails the length of the Amazon River. 1542–43: Firearms are introduced into Japan by the Portuguese. 1545: Theory of complex numbers is first developed by Gerolamo Cardamo of Italy. 1558: Camera obscura is first used in Europe by Giambattista della Porta of Italy. 1559–1562: Spanish settlements in Alabama/Florida and Georgia confirm dangers of hurricanes and local native warring tribes. 1565: Spanish settlers outside New Spain (Mexico) colonize Florida's coastline at St. Augustine. 1568: Gerardus Mercator creates the first Mercator projection map. 1572: Supernova SN 1572 is observed by Tycho Brahe in the Milky Way. 1582: Gregorian calendar is introduced in Europe by Pope Gregory XIII and adopted by catholic countries. c. 1583: Galileo Galilei of Pisa, Italy identifies the constant swing of a pendulum, leading to development of reliable timekeepers. 1585: earliest known reference to the 'sailing carriage' in China. 1589: William Lee invents the stocking frame. 1591: First flush toilet is introduced by Sir John Harrington of England, the design published under the title 'The Metamorphosis of Ajax'. 1593: Galileo Galilei invents a thermometer. 1596: William Barents discovers Spitsbergen. 1597: Opera in Florence by Jacopo Peri. ^ Modern reference works on the period tend to follow the introduction of the Gregorian calendar for the sake of clarity; thus NASA's lunar eclipse catalogue states "The Gregorian calendar is used for all dates from 1582 Oct 15 onwards. Before that date, the Julian calendar is used." For dates after 15 October 1582, care must be taken to avoid confusion of the two styles. ^ "16th Century Timeline (1501 to 1600)". fsmitha.com. Archived from the original on February 3, 2009. ^ "A LIST OF NATIONAL EPIDEMICS OF PLAGUE IN ENGLAND 1348–1665". Archived from the original on 2009-05-04. Retrieved 2009-04-25. ^ The Sweating Sickness. Story of London.. Accessed 2009-04-25. Archived 2009-05-03. ^ Sandra Arlinghaus. "Life Span of Suleiman the Magnificent 1494–1566". Personal.umich.edu. Retrieved 2013-05-05. ^ "La Terra De Hochelaga – Jaques Cartier a Hochelaga". jacquescarter.org. Archived from the original on December 23, 2008. ^ Schwieger, Peter (2014). The Dalai Lama and the Emperor of China: a political history of the Tibetan institution of reincarnation. New York: Columbia University Press. ISBN 9780231538602. OCLC 905914446. ^ Drake (1978, p.1). The date of Galileo's birth is given according to the Julian calendar, which was then in force throughout the whole of Christendom. In 1582 it was replaced in Italy and several other Catholic countries with the Gregorian calendar. Unless otherwise indicated, dates in this article are given according to the Gregorian calendar. Catherine Parr (sometimes alternatively spelled Katherine, Katheryn, Kateryn or Katharine) (1512 – 5 September 1548) was Queen of England and Ireland (1543–47) as the last of the six wives of King Henry VIII, and the final queen consort of the House of Tudor. She married him on 12 July 1543, and outlived him by one year. With four husbands she is the most-married English queen. Catherine enjoyed a close relationship with Henry's three children and was personally involved in the education of Elizabeth I and Edward VI. She was influential in Henry's passing of the Third Succession Act in 1543 that restored both his daughters, Mary and Elizabeth, to the line of succession to the throne.Catherine was appointed regent from July to September 1544 while Henry was on a military campaign in France and in case he lost his life, she was to rule as regent until Edward came of age. However he did not give her any function in government in his will. In 1543, she published her first book, Psalms or Prayers, anonymously. On account of Catherine's Protestant sympathies, she provoked the enmity of anti-Protestant officials, who sought to turn the King against her; a warrant for her arrest was drawn up in 1545. However, she and the King soon reconciled. Her book Prayers or Meditations became the first book published by an English queen under her own name. She assumed the role of Elizabeth's guardian following the King's death, and published a second book, The Lamentation of a Sinner. Henry died on 28 January 1547. After the king's death, Catherine was allowed to keep the queen's jewels and gowns as queen dowager. About six months after Henry's death, she married her fourth and final husband, Thomas Seymour, 1st Baron Seymour of Sudeley. The marriage was short-lived, as she died on Wednesday, 5 September 1548 due to complications of childbirth. Parr's funeral was held on 7 September 1548. Parr's funeral was the first Protestant funeral held in English in England, Scotland, and Ireland. Charles V (24 February 1500 – 21 September 1558) was Holy Roman Emperor (1519–1556), King of Germany (1520-1556), King of Italy (1530-1556), King of Spain (1516-1556), King of the Indies (1521-1556), Lord of the Habsburg Netherlands (1506–1555), and head of the House of Austria (1519-1556). Charles V revitalized the medieval concept of the universal monarchy of Charlemagne and travelled from city to city, with no single fixed capital: overall he spent 28 years in the Habsburg Netherlands (primarily Brussels), 18 years in Spain (notably Toledo and Extremadura), and 9 years in Germany. After four decades of incessant warfare with the Protestants, the Ottoman Empire, and the Kingdom of France, Charles V abandoned his multi-national project with a series of abdications between 1554 and 1556 in favor of his son Philip II of Spain and brother Ferdinand I of Austria. The personal union of his European and American territories, spanning over nearly 4 million square kilometres, was the first collection of realms to be defined as "the empire on which the sun never sets". Because of widespread fears that his vast inheritance would lead to the realisation of a universal monarchy and that he was trying to create a European hegemony, Charles was the object of hostility from many enemies. His reign was dominated by war, particularly by three major simultaneous prolonged conflicts: the Italian Wars with France, the struggle to halt the Turkish advance into Europe, and the conflict with the German princes resulting from the Protestant Reformation. In order to finance such wars to defend the Holy Roman Empire, Charles V increased the flows of South American silver to Spain (the chief source of his power and wealth) and caused long-term consequences on the economy. While Charles did not typically concern himself with rebellions, he was quick to put down four particularly dangerous rebellions; the Revolt of the Comuneros in Castile, the Revolt of the Brotherhoods in Aragon, the revolt of the Arumer Zwarte Hoop in Frisia, and, later in his reign, the Revolt of Ghent (1539). Once the rebellions were quelled, the essential Castilian and Burgundian territories remained mostly loyal to Charles throughout his rule. Niccolò di Bernardo dei Machiavelli (, Italian: [nikkoˈlɔ mmakjaˈvɛlli]; 3 May 1469 – 21 June 1527) was an Italian diplomat, politician, historian, philosopher, humanist, writer, playwright and poet of the Renaissance period. He has often been called the father of modern political science. For many years he served as a senior official in the Florentine Republic with responsibilities in diplomatic and military affairs. He wrote comedies, carnival songs, and poetry. His personal correspondence is renowned by Italian scholars. He worked as secretary to the Second Chancery of the Republic of Florence from 1498 to 1512, when the Medici were out of power. He wrote his best-known work The Prince (Il Principe) in 1513, having been exiled from city affairs. Machiavellianism is widely used as a negative term to characterize unscrupulous politicians of the sort Machiavelli described most famously in The Prince. Machiavelli described immoral behavior, such as dishonesty and the killing of innocents, as being normal and effective in politics. He even encouraged it in some situations. The book gained notoriety due to claims that it teaches "evil recommendations to tyrants to help them maintain their power".The term Machiavellian often connotates political deceit, deviousness, and realpolitik. On the other hand, many commentators, such as Baruch Spinoza, Jean-Jacques Rousseau and Denis Diderot, have argued that Machiavelli was actually a republican, even when writing The Prince, and his writings gave inspiration to Enlightenment proponents of modern democratic political philosophy. In one place, for example, Machiavelli noted his admiration for the selfless Roman dictator Cincinnatus. Michel de Nostredame (depending on the source, 14 or 21 December 1503 – 1 or 2 July 1566), usually Latinised as Nostradamus, was a French astrologer, physician and reputed seer, who is best known for his book Les Prophéties, a collection of 942 poetic quatrains allegedly predicting future events. The book was first published in 1555 and has rarely been out of print since his death. Nostradamus's family was originally Jewish, but had converted to Catholicism before he was born. He studied at the University of Avignon, but was forced to leave after just over a year when the university closed due to an outbreak of the plague. He worked as an apothecary for several years before entering the University of Montpellier, hoping to earn a doctorate, but was almost immediately expelled after his work as an apothecary (a manual trade forbidden by university statutes) was discovered. He first married in 1531, but his wife and two children died in 1534 during another plague outbreak. He fought alongside doctors against the plague before remarrying to Anne Ponsarde, who bore him six children. He wrote an almanac for 1550 and, as a result of its success, continued writing them for future years as he began working as an astrologer for various wealthy patrons. Catherine de' Medici became one of his foremost supporters. His Les Prophéties, published in 1555, relied heavily on historical and literary precedent, and initially received mixed reception. He suffered from severe gout toward the end of his life, which eventually developed into edema. He died on 2 July 1566. Many popular authors have retold apocryphal legends about his life. In the years since the publication of his Les Prophéties, Nostradamus has attracted a large number of supporters, who, along with much of the popular press, credit him with having accurately predicted many major world events. Most academic sources reject the notion that Nostradamus had any genuine supernatural prophetic abilities and maintain that the associations made between world events and Nostradamus's quatrains are the result of misinterpretations or mistranslations (sometimes deliberate). These academics argue that Nostradamus's predictions are characteristically vague, meaning they could be applied to virtually anything, and are useless for determining whether their author had any real prophetic powers. They also point out that English translations of his quatrains are almost always of extremely poor quality, based on later manuscripts, produced by authors with little knowledge of sixteenth-century French, and often deliberately mistranslated to make the prophecies fit whatever events the translator believed they were supposed to have predicted.